In all the years I’ve been photographing wildlife and birds (and coastal landscapes) I’ve never talked about seagulls. In particular Herring Gulls, which are the sea birds I come into contact with most often. 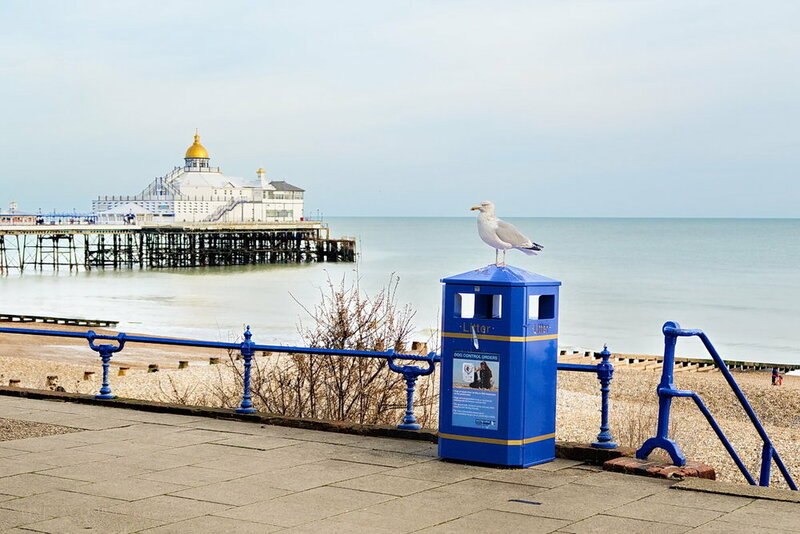 I regularly visit the seaside towns of Worthing and Littlehampton in West Sussex, so these birds are incredibly familiar. It’s high time I said a few words about them. 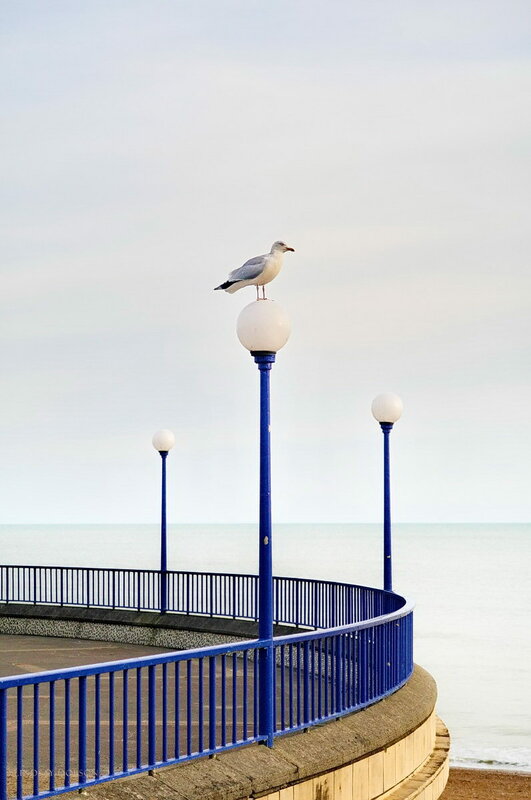 There are many varieties of seagulls here in the UK, but the Herring Gull is the largest. It’s a big strong bird, around 60 cm in length. It’s also a long-lived bird and can exist for several decades. It spends much of its time at sea, often following fishing boats, but it’s happy inland given that it’s a scavenger. This bird is easy to identify because there is a reddish blob on its bill, and it has pink legs. That distinguishes it from the Common Gull, which has a plain bill and a yellowish green legs (and a milder disposition). Juveniles remain speckled until after their second winter. Herring Gulls have gained something of a bad reputation, at least amongst many residents of the seaside towns where these birds are commonplace. They’re noisy, particularly the juveniles. In fact young Herring Gulls have a very persistent high-pitched cry, so persistent in fact that the parents will often give in to them (long after the juveniles are weaned) simply for a quiet life. Being scavengers, if you’re hoping to enjoy a quiet lunch by the sea, it’s very likely you’ll have company. In some coastal towns these birds are extremely bold and they won’t hesitate to swoop down and steal the food out of your hands. Given their size, this can be quite intimidating. But remember these birds are only doing what comes naturally to them. The only way to avoid that behaviour is to avoid tempting them, inconvenient as that sounds. Having lived in Brighton when I was at university, I can distinctly remember the noise when these birds would drop mollusks from a great height onto the roof of the house I lived in. This makes more sense than dropping the mollusks onto the road or pavement, where it might be dangerous for the bird to land. Dropping the shellfish onto a roof means that the broken shell is likely to end up somewhere which is safely accessible. They also nest in chimney stacks, bringing not only noise to the occupants but also the possibility of nesting materials blocking a flue. There have also been stories of these birds getting into altercations with household pets. Dogs are curious and many will chase even a large bird or try to play with one – a Herring Gull is unlikely to back down. This tends to occur when the gulls have young, particularly if the chick has fallen out of the nest onto the ground. In which case the adult bird will (understandably) swoop on anything which gets too close. In some of our busiest tourist spots the birds have become pests, mostly because there is so much accessible food at certain times of the year. There has even been the odd cull. Here in the UK wild birds are protected by legislation so any cull or in fact any measures designed to reduce the numbers must be approved by the local council. That doesn’t mean that householders can’t try to deter these birds however. There are ways of doing that, such as removing old nests at the end of the season. Removing nests in itself won’t prevent them from coming back, since gulls can quickly and efficiently rebuild them. So further measures such as installing spikes or wires to prevent the birds from landing will be required. And it really isn’t much of a help if you’re the only person in the street doing that - your neighbours will need to be on board as well. Always check that you’re allowed to remove the old nests, and what the laws are in your area. More information on that can be obtained from DEFRA and Natural England. 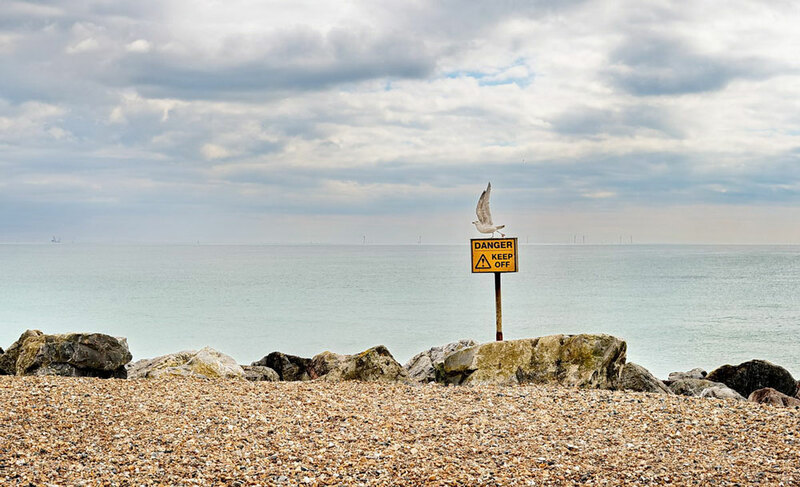 Make sure you don’t inadvertently destroy the nest of protected seabirds whilst you’re doing it – a qualified contractor is the way to go. What equipment did I use to take these sea bird photographs? Nothing fancy, I can assure you. All of these pictures were taken on casual daytrips, with whatever camera I had in my handbag. That will include my little Canon G5X, Sony RX100ii, Sony a6300 with e-mount 18-105 or 18-135 lenses, Panasonic GH1 (we’re going back a few years!) and lastly my LX100ii. In fact a Panasonic LX100 (and then the Mkii version) has lived in my handbag permanently for the last few years.